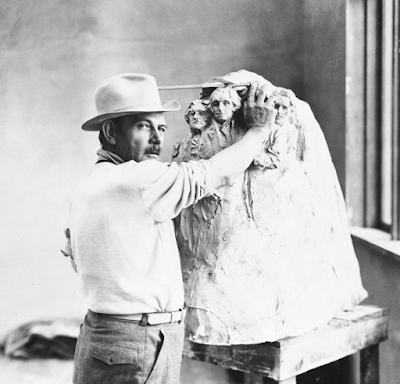 One of the most intriguing artists to pass through San Antonio was noted sculptor Gutzon Borglum. Borglum came to the city in 1925 to create a memorial for the Trail Drivers Museum. He immediately won the respect of the people of Texas, who treated him as the ultimate celebrity when he toured the state with a model of his creation. Borglum stayed in the city for many years, working out of a studio in Brackenridge Park. The studio, a former water works facility, was modified by the artist and was the site of some of his most famous creations. It was here that Borglum created his famous statue of Woodrow Wilson for the Polish government. Borglum was a man of many contradictions. He was an avowed anti-Semite, and often spoke about the "Jewish Problem." Often he preached against the so-called Jewish Establishment and their control of the banking industry. However, many of his patrons, financial backers, and close friends were Jewish. Supreme Court Justice Felix Frankfurter, like many of his contemporaries, accepted the self-proclaimed anti-Semite as a valued friend who was uncompromising in his beliefs. 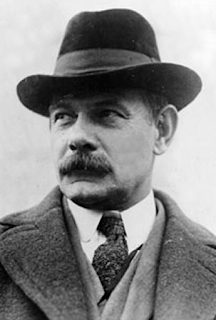 When Hitler began carrying out a plan to exterminate Jewish citizens, Borglum, the man of many contradictions, became an outspoken opponent of the Führer. When Hitler invaded Poland, one of his first acts was to destroy Borglum's statue of Woodrow Wilson. The artist took an active role in the politics of the day. He allowed Czechoslovakian rebels to train on his Connecticut estate during World War I. He investigated the aircraft industry for corruption during the First World War. He was an advisor to presidents and chiefs of state. He became a powerful member of the Ku Klux Klan in a time when the racist organization was trying to mainstream their cause. When Borglum arrived in San Antonio, he had just been fired by the group who had commissioned him to create a monument in Stone Mountain, Georgia, honoring Confederate heroes. He left Georgia a fugitive for destroying a vital model of the uncompleted sculpture. In San Antonio, he quickly set up shop at Brackenridge Park in his Mill Race Studio. After the creation of the Trail Drivers monument, he left for South Dakota to create his most famous work, a giant carving of four ex-presidents on Mount Rushmore. 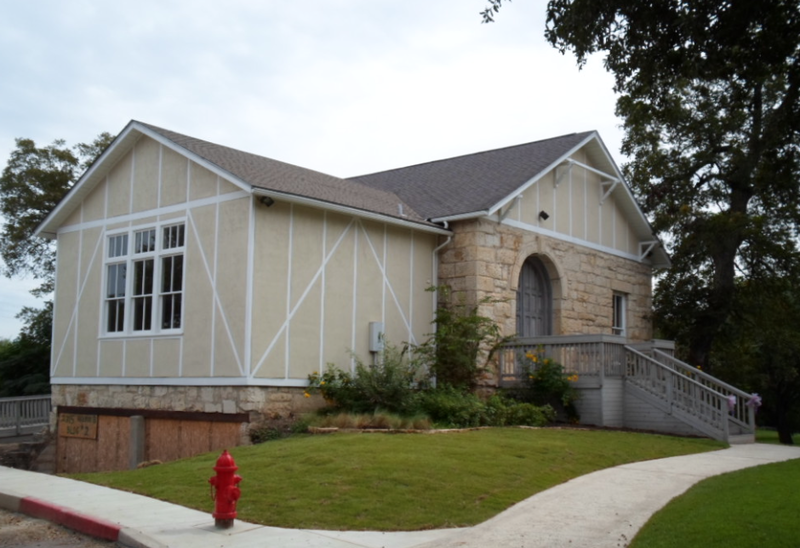 It was in his Brackenridge Park studio that Borglum designed his greatest work of art. Borglum left a large legacy. His art is displayed in the White House, the New York Metropolitan Museum of Art, in Los Angeles, Detroit, Newark, Chicago, and San Antonio. He designed the flame in the Statue of Liberty's torch. He was the head of the Texas Beautification Plan and proposed ideas, such as a Corpus Christi waterfront, that were years ahead of their time. 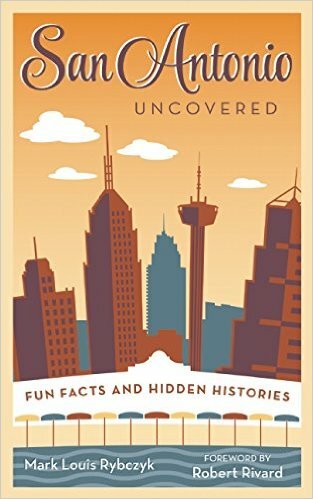 As for San Antonio, his contributions to the city are mostly forgotten. 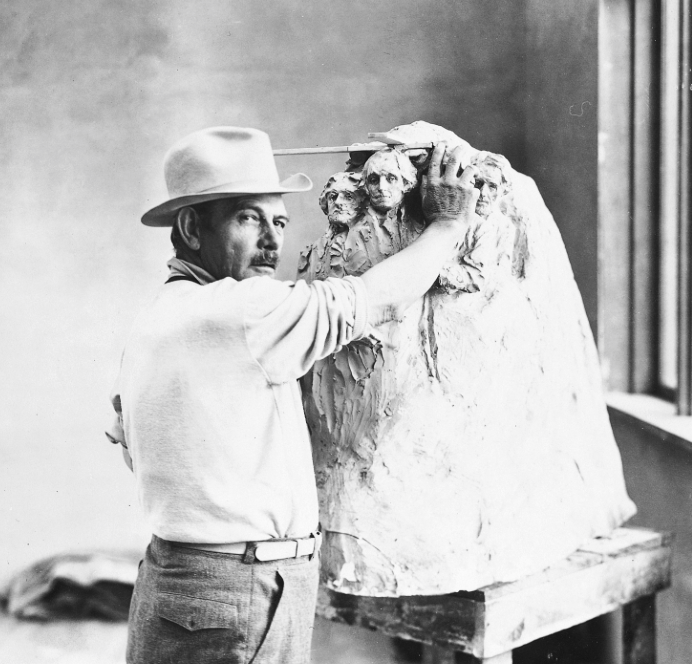 Throughout the carving of Mount Rushmore, he wintered in San Antonio while working on his other commissions. He left for California in the 1930s after losing out on the Alamo Cenotaph commission. His studio was turned over to the San Antonio Art League, who used it for young artists for many years. Some of his greatest pieces were created there. After many years, the building was abandoned. 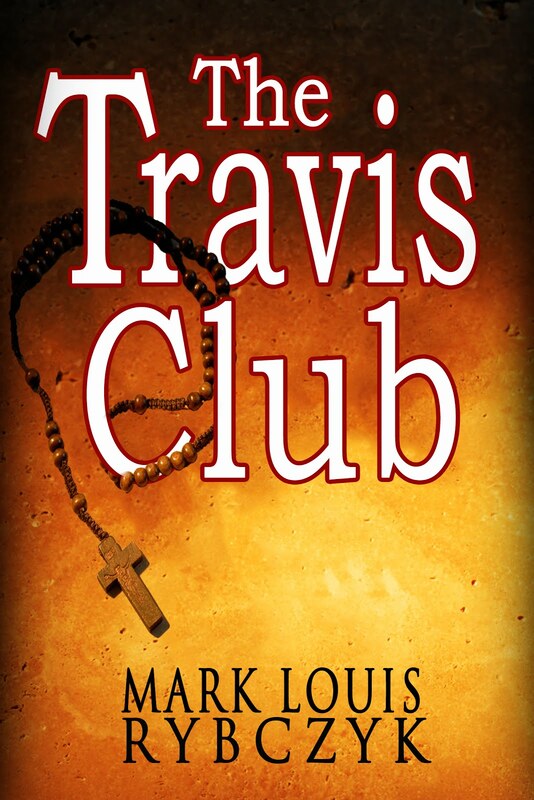 It sat in quiet ruins for many years, adjacent to the Brackenridge Golf Course parking lot. It was renovated a few years ago and is now available for for events.